Phoenix, Ariz.—More than a thousand Arizonans have signed on to a petition that demands bipartisan solutions and a plan from our governor to solve the state’s public education funding crisis. The video asks, “Where’s the plan?” to address our lowest-in-the-nation teacher pay, overcrowded classrooms, and lack of funding for critical needs such as special education, full-day Kindergarten and safe buildings. The petition notes that even though our economy has improved since the recession, our classrooms are still suffering from the drastic cuts—more than a billion dollars—made ten years ago. Our leaders have not offered a single plan to restore our school funding to investment levels from 2008, much less a level that nears the national average. The demands of educators and parents are clear: no more excuses. They want action. They want to know, #wherestheplan to fix this? 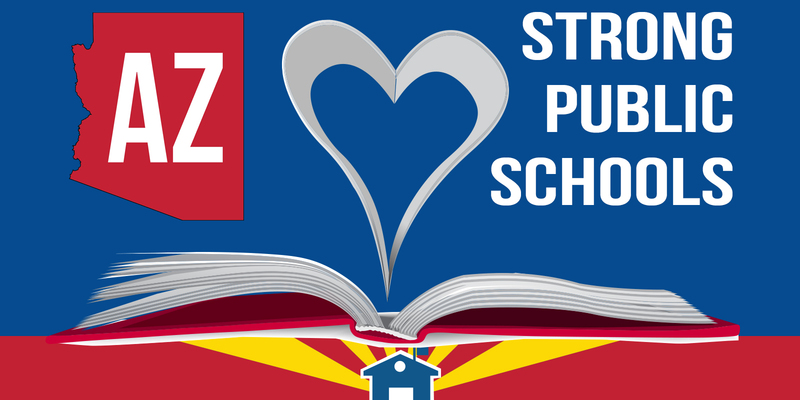 For more information on our #WheresThePlan campaign, please visit our website at azschoolsnow.org.